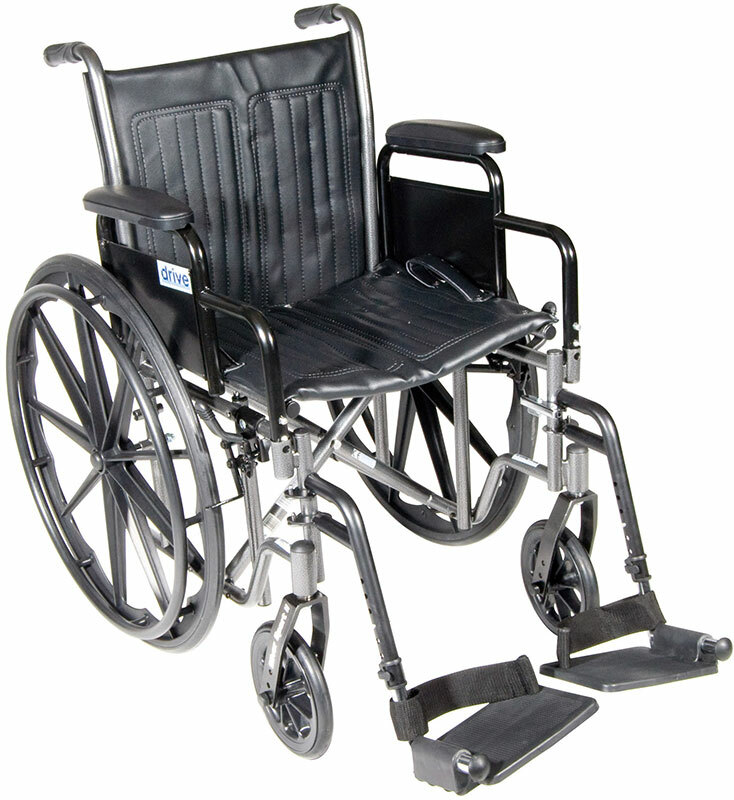 The 20" Silver Sport 2 Wheelchair with Detachable Desk Arms and Swing Away Footrests comes in an attractive, easy to maintain, powder coated, silver vein finish, and a steel frame for durability. The 20" Silver Sport 2 Wheelchair with Detachable Desk Arms and Swing Away Footrests comes in an attractive, easy to maintain, powder coated, silver vein finish, and a steel frame for durability. The urethane tires are mounted on composite wheels to provide durability and a smooth ride over most surfaces. The embossed, nylon upholstery is durable, lightweight, attractive and easy to clean. The carry pocket on the backrest provides an easy and safe way to transport personal items. Comes standard with swing away footrests, padded detachable desk arms, push to lock brakes and plastic footplates. Limited lifetime warranty.